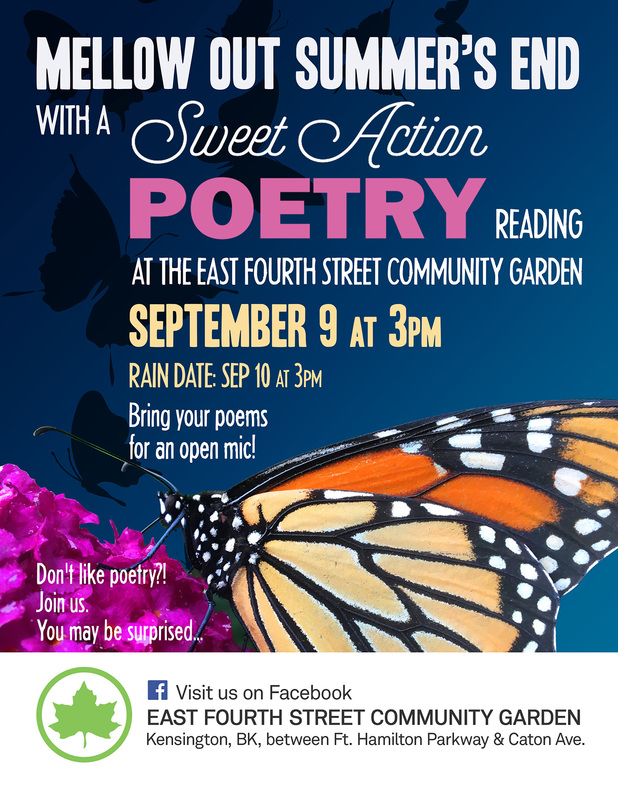 Sweet Action will be reading in the East 4th Street Community Garden on Saturday, September 9th, with a raindate of Sunday, September 10th. Readers will include Emily Blair, Marietta Brill, Julie Hart, AKaiser, Sara Emily Kuntz, Dell Lemon, Cory Nakasue, Sarah Passino, Abby Sayre, and Judy Schneier. The reading will begin at 3pm, with an open mic following.